From I-196, take exit 62 south to Greenly Street. Travel east on Greenly Street for two miles to the entrance. 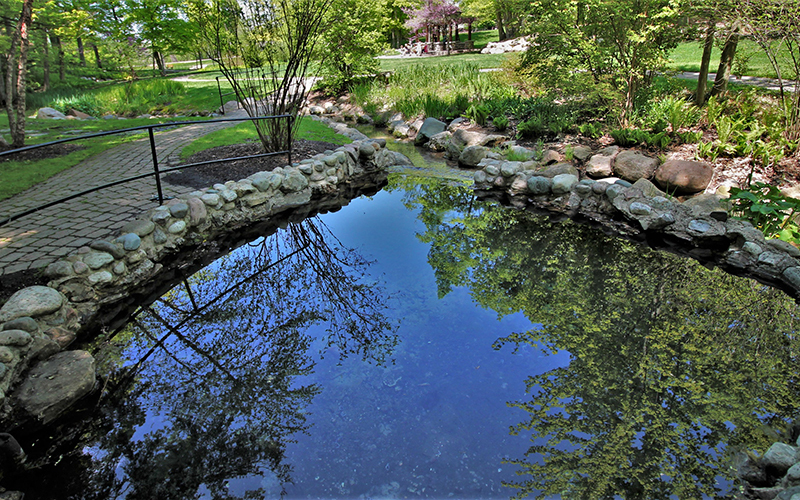 Barrier free facilities include the picnic building, restrooms, trellis, playground and trails to key use areas including the natural spring. This map shows amenities, parking areas, features and trails. 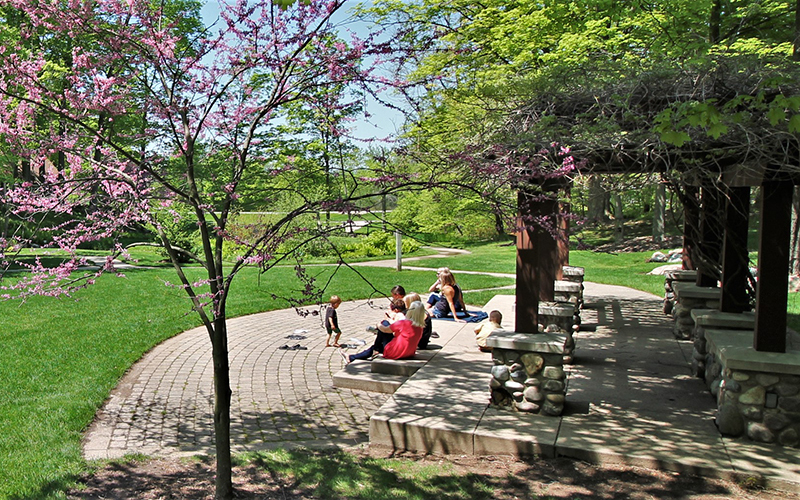 With 16 acres of towering trees, this park is a great place for a family picnic. 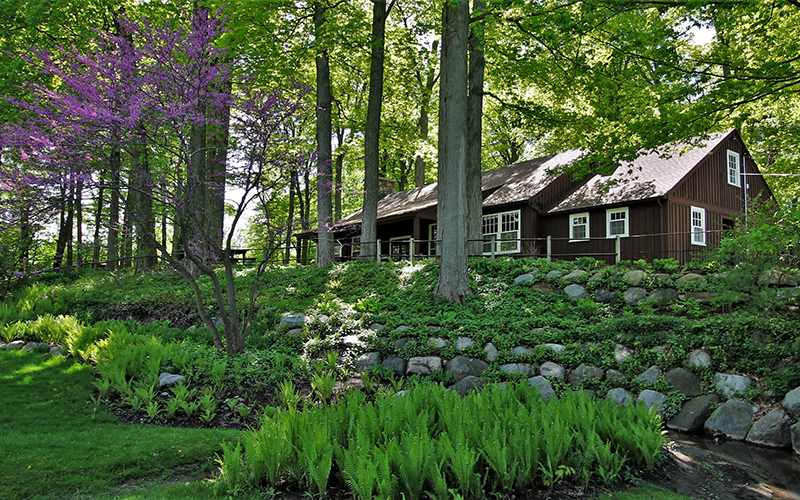 The fully enclosed Picnic Building is a popular place for meetings, reunions, graduations and weddings. 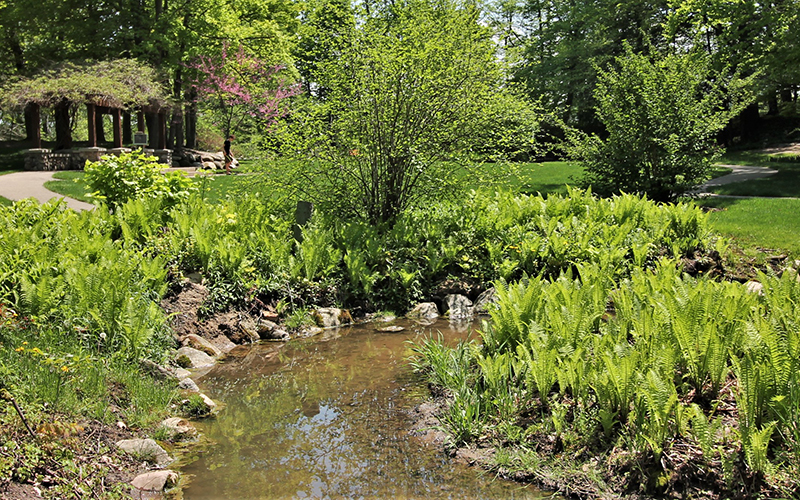 A flowing spring and small natural area with beautiful spring wildflowers adds to the charm of this park. A trellis is available for outdoor weddings and other ceremonies. Dogs are not permitted at Spring Grove May 1 through September 30. Dogs are not permitted in park buildings, restrooms, picnic shelters, playground areas, ball fields, or as posted. Owners must clean up after their pet and dispose of waste in a trash receptacle.